Our Red Sale Teardrop Flag pairs well with our other stock open and sale flags. 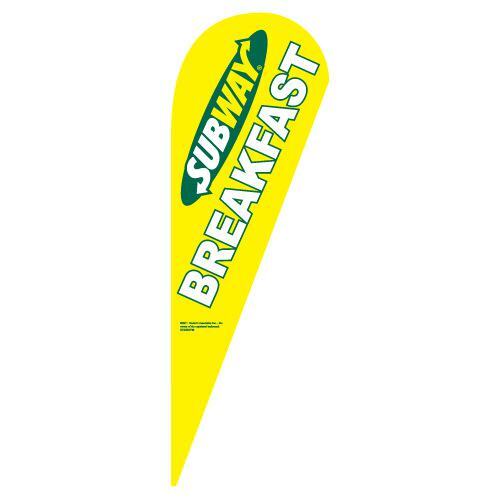 These polyester banners are light weight and easy to install with our pole kits. 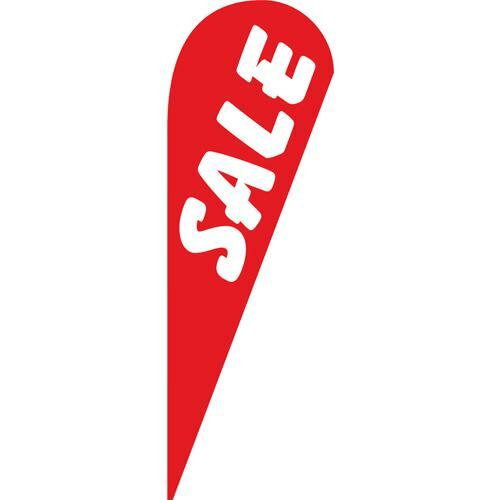 The background of this banner is red with the text “Sale” printed in a bold white font. 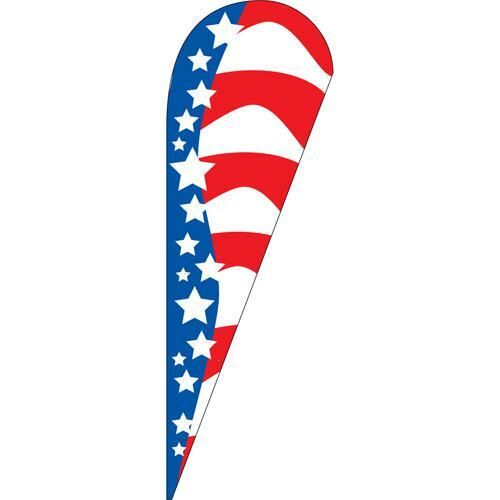 Pair this flag with our yellow, blue, or patriotic Sale teardrop or feather flags to maximize visibility. Q What is the height dimension? 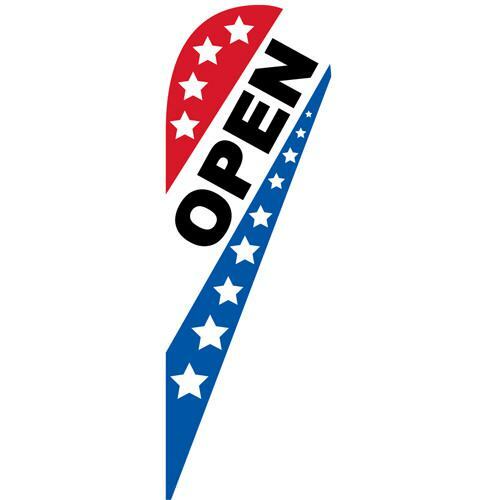 A Approximately 10.5ft tall x 3.5ft wide at top.